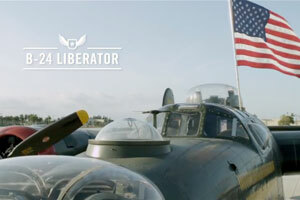 See what it is like to fly in the world's last B-24J Liberator. 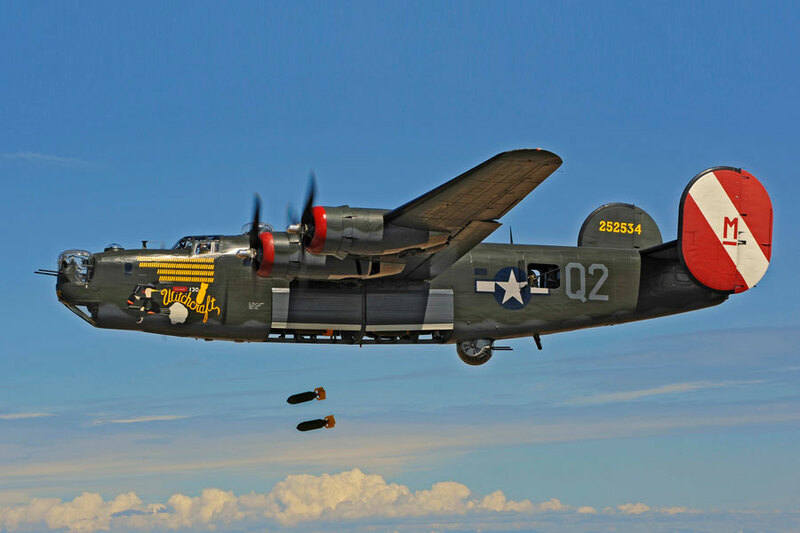 A great article on the history of the B-24 Liberator. Its guns are long silent as the new mission it flies finds it over no enemy lands. 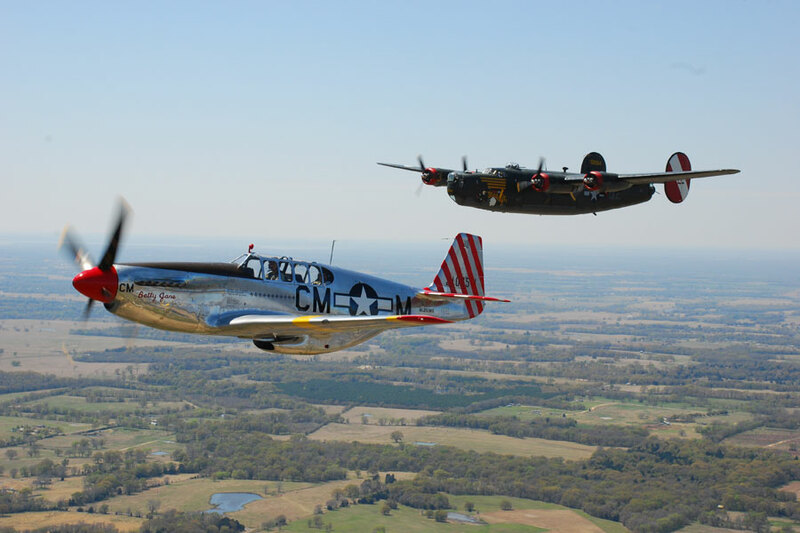 The world’s only fully restored and flying consolidated B-24J Liberator is back in the skies after an absence of twenty years. The B-24 fought for our freedom in the skies of Europe and the Pacific through the use of strategic bombing during the Second World War. In order to help preserve this history and honor the veterans who participated in the war, B-24 serial number 44-44052 has been restored to mint condition under the auspices of the Collings Foundation of Stow, MA. Over fifty years ago, in August 1944, the Collings Liberator was built at the Consolidated Aircraft Company’s Fort Worth, Texas plant. Shortly afterward, the aircraft was delivered to the US Army Air Force and in October of 1944, it was transferred to the Royal Air Force. Under the British flag, the B-24 saw combat in the Pacific Theater in operations ranging from anti-shipping to bombing and re-supply of resistance force operations. At war’s end, the aircraft was abandoned by the RAF in a bomber graveyard in Khanpur, India; with the assumption that it would not fly again. However, in 1948, the Indian Air Force succeeded in restoring 36 B-24’s, including 44-44052, to operational status. These aircraft were utilized until 1968. For the next 13 years, the aircraft sat abandoned in India until British aircraft collector, Doug Arnold, obtained it in 1981. The aircraft was disassembled and transported back to England in a Heavy Lift cargo plane. Once in England, the aircraft was advertised for sale in “as is” condition and in 1984, Dr. Robert F. Collings purchased it. After a sea voyage of three weeks, the B-24 arrived in Boston and was brought to Stow, MA in four truckloads. 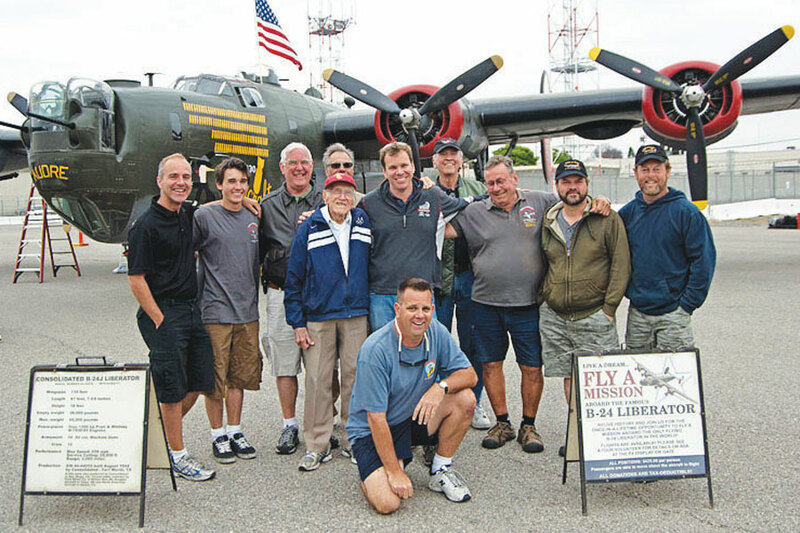 Collings said that the Foundation intended to restore the plane for static display only, but he was persuaded to restore it to flying status by local B-24 crewmen. “This made it about five times greater a project,” Collings said. “We were convinced by the argument that only about three thousand people a year would see a static display, but three million might see it on a nationwide tour. Preliminary restoration work started in 1985, led by Massachusetts volunteers, most of whom were former crewmen, or sons of crewmen, on B-24’s. When Collings decided to make the plane a flying restoration, he contacted Tom Reilly Vintage Aircraft in Kissimmee, FL to do the work on the airframe and powerplant. Volunteers restored the turrets, armament, radios, oxygen system, and cosmetic details. The original builders sponsored work on the Emerson Electric nose turret, PPG Industries of Pittsburgh supplied turret glass, and United Technologies of Hartford, CT donated a Norden bombsight. 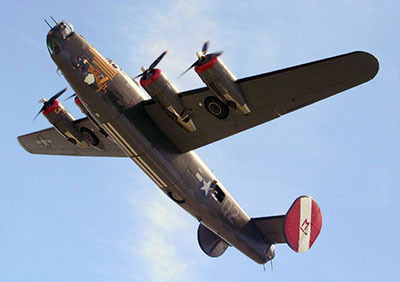 General Dynamics, a successor to Consolidated Aircraft, the original manufacturers of the B-24 in Fort Worth, TX, was a major sponsor of its restoration. Collings said the restoration involved complete disassembly of the plane and work on about 80% of the B-24’s 1.2 million parts. There was some corrosion and minor damage “plus the desire to make all the systems (engines, props, hydraulics, and electrical) one hundred percent right”. The entire hydraulic plant was replaced or overhauled, and every pulley was replaced. All cables and hardware, the bearings, an electronic strobe system, the batteries, and the radios were donated, along with installation advice and assistance. The fuselage was in reasonably good shape, but twenty percent of its skin still had to be replaced. More than 420,000 rivets were replaced, as well as fuel cells, brake tubes, tires, and windows. Most of these parts were donated. On September 10, 1989, after more than five years of hard work and 97,000+ hours of labor, the B-24 flew for the first time after restoration. Starting a new life in 1989 flying as “All American,” a 15th Air Force aircraft, that flew in Italy with the 461st Bomb Group, the B-24, flew for many years with this scheme. 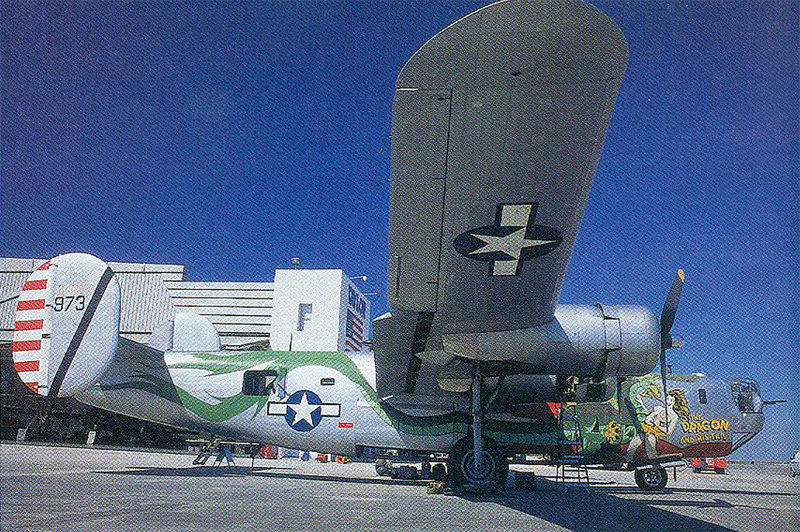 In 1998, she was repainted to represent the “Dragon and His Tail” a 5th Air Force B-24 flying in the Pacific Theater with the 43rd Bomb Group. In 2005, she was repainted as “Witchcraft” in honor of the veterans of the 8th Air Force, who flew in the European Theater during WWII. The history of “Witchcraft” is a story that legends are made from. 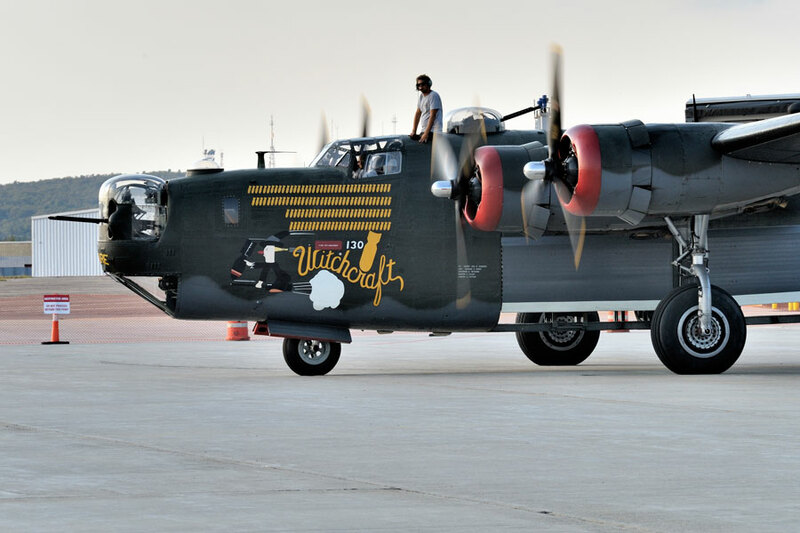 The original “Witchcraft” was produced as a B-24H, built by Ford at the famous Willow Run, MI plant in 1944. It was delivered to the 467th in Wendover, Utah and initially assigned to Second Lieutenant George W. Reed and his crew who flew the aircraft to England. “Witchcraft” safely arrived with her crew at Station 145 in Rackheath, England on March 19th, 1944, after a 20-day flight over the Atlantic. The aircraft and crew began their combat service on April 10th, 1944, flying the first combat mission of the 467th Bomb Group. Over the next year “Witchcraft” flew an incredible 130 combat missions with various crews. “Witchcraft” was never once turned back while on a mission, and never had any crewmen injured or killed. Her last mission was flown on April 25th, 1945 which also was the last mission flown by the 467th Bomb Group. “…Witchcraft” was there at the beginning and at the end.” After the war, she was returned to the United States and like many other B-24’s, was scrapped on October 3rd, 1945 at the surplus depot in Altus, Oklahoma. 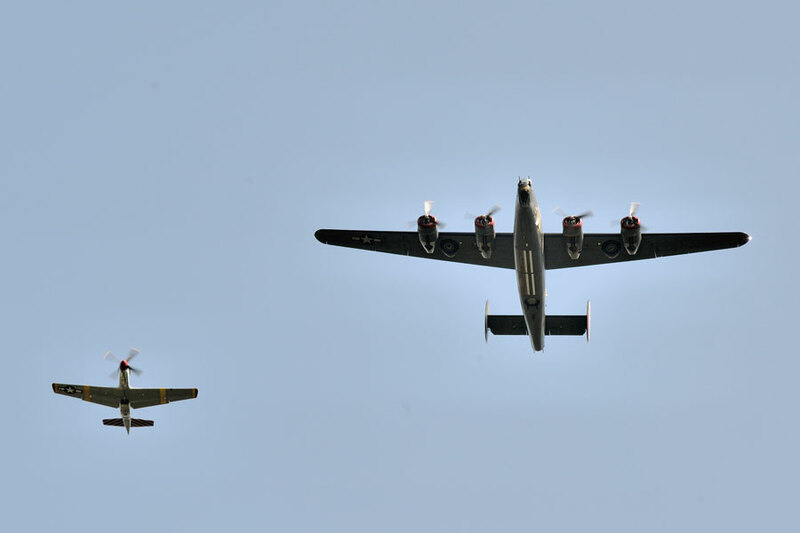 The B-24 flies as part of the Wings of Freedom Tour, visiting over 120 cities nationwide annually with the B-17 Flying Fortress and B-25 Mitchell. 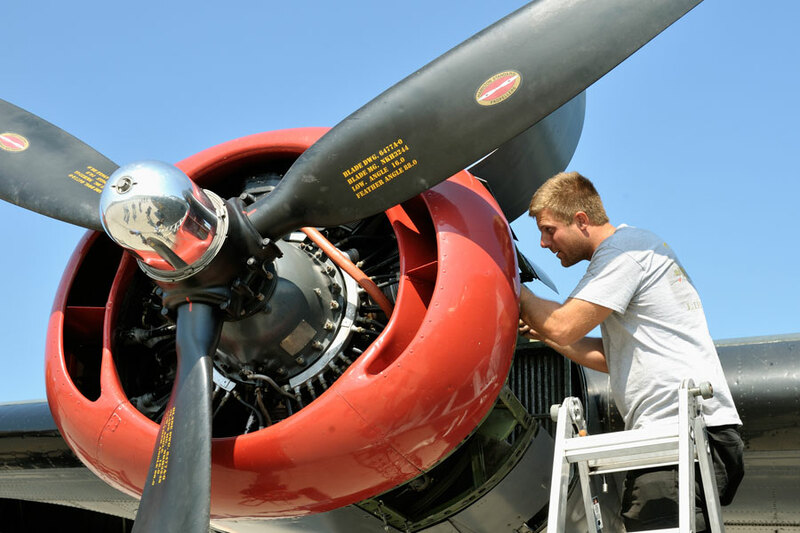 To accomplish this, the Collings Foundation relies solely on contributions and donations to cover the operating cost of over four thousand dollars per flying hour. 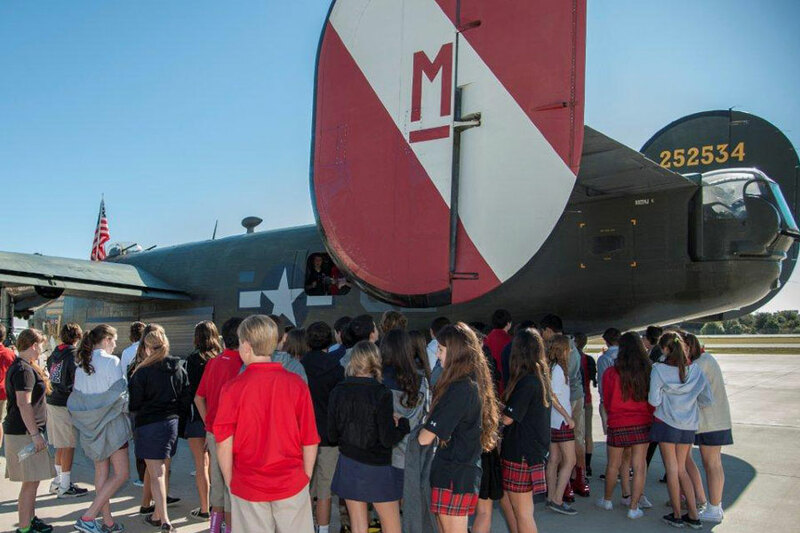 These contributions ensure the future of the aircraft and keep it flying as a symbol of American patriotism and as a learning tool for our future generations to learn more about World War II and aviation history.